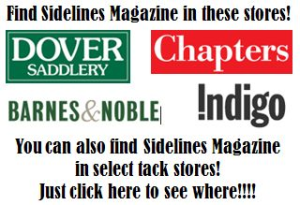 Enjoy shopping, and going to the horse show, while in Traverse City, Michigan. 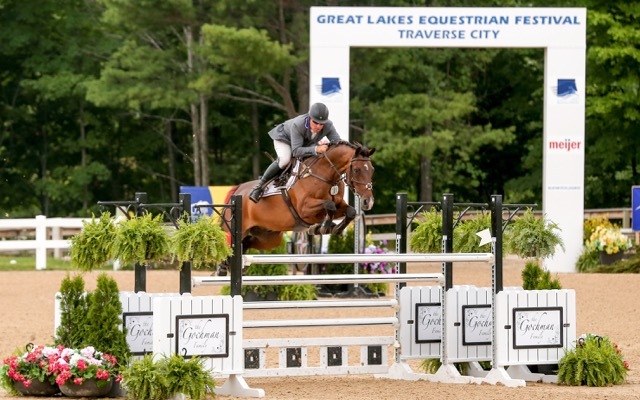 Thousands of exhibitors will travel to Traverse City, Michigan, this year to participate in one of the most popular events of the summer, the Great Lakes Equestrian Festival (GLEF). 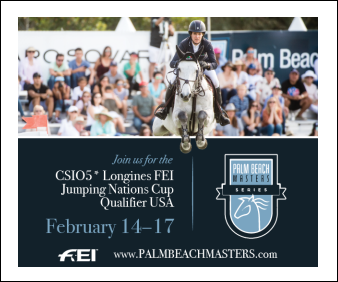 Hosted at Flintfields Horse Park, GLEF takes place annually through July and August, bringing equestrians from around the world to compete in rated hunter-jumper divisions. Experience a metropolitan atmosphere coupled with the friendliness of the professionally trained staff that will surely make a lasting impression at Asian-infusion restaurant Red Ginger in downtown Traverse City. 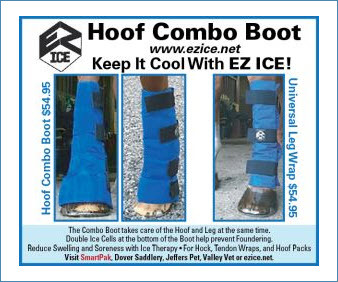 Yet the Great Lakes Equestrian Festival isn’t the only reason exhibitors keep going to Traverse City every summer. 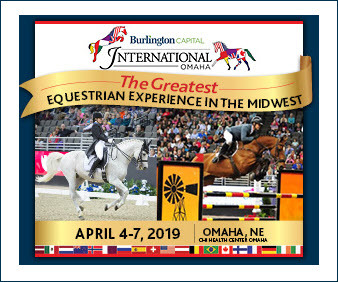 Situated on the shores of Lake Michigan’s Grand Traverse Bay, the city boasts both breathtaking scenery and rich culture, offering an abundance of activities, restaurants, wineries and events for all to enjoy on those relaxing days off from the horse show. 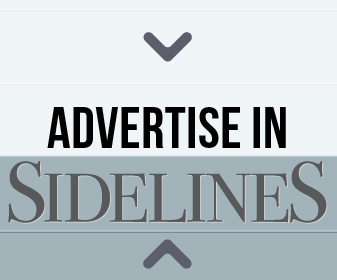 Traverse City is known as the “Cherry Capital of the World,” and the city hosts an annual week-long National Cherry Festival to celebrate the city’s signature fruit. This family-friendly event is in its 91st year, always held during the first full week of July (July 1–8 this year), and is jam-packed with over 150 different activities such as air shows, fireworks, nightly concerts and, of course, plenty of opportunities to taste Traverse City’s irresistible cherries. This cherry celebration attracts approximately 500,000 visitors from across the state of Michigan as well as around the world. For those on a budget, the festival is an affordable event to attend as almost all of the activities are free. 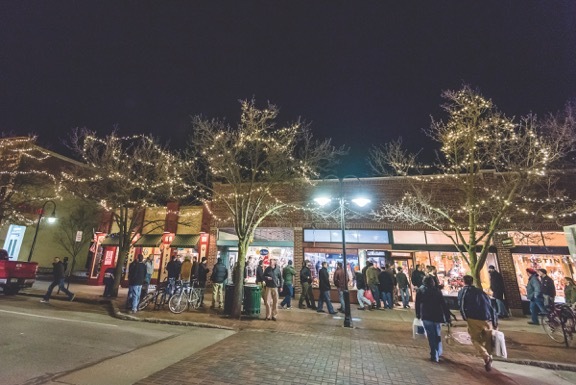 The festival truly embodies the ‘Pure Michigan’ spirit, bringing together wholesome, local agriculture to one of Michigan’s ‘purest’ gems, Traverse City. Local food hotspots are also a staple in Traverse City, offering cuisine from many different cultures to satisfy your hunger. Red Ginger is an Asian dining experience located in the heart of downtown Traverse City next to the historic State Theatre. 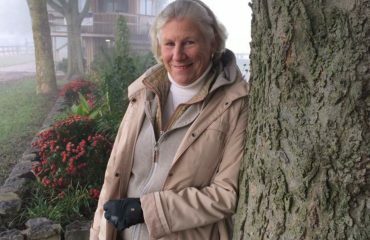 The popular restaurant was opened in 2007 by executive chef Dan Marsh and wife Pam. The menu celebrates all of the excitement, allure and interest that makes Asian cuisine deliciously satisfying, while sourcing the highest-quality ingredients available and embracing local and seasonal product. 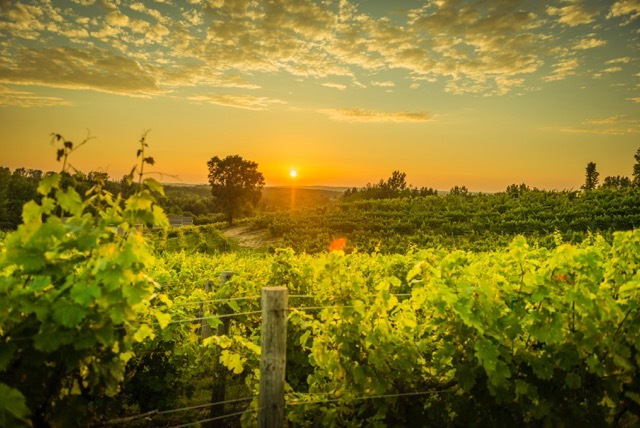 For the wine connoisseurs, relax after a long day with a glass in hand at one of Traverse City’s many popular vineyards. Take in breathtaking views while enjoying local fine wine and good company. Torch Lake sandbar is where most GLEF exhibitors spend their days off from the horse show during the summer. If wine is not your beverage of choice, visit one of Michigan’s original micro-distilleries, the Grand Traverse Distillery, which produces award-winning spirits made from locally milled, fermented and distilled grains. Get a taste for Traverse City and learn the process from grain to bottle for their whiskey, vodka, gin and rum on one of their guided tours. The Grand Traverse Distillery takes you on a historic journey through time, before prohibition, when distilling was an art performed by skilled craftsmen. Stop by one of Grand Traverse Distillery’s downtown tasting rooms to enjoy a cocktail and weekly entertainment with friends. 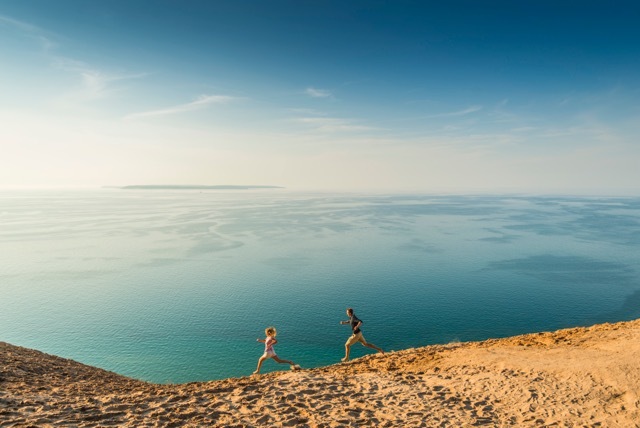 If you’re looking to immerse yourself in nature, look no further than Sleeping Bear Dunes National Lakeshore. Shaped by glaciers years ago, the dunes were named the “Most Beautiful Place in America” by ABC’s “Good Morning America.” One afternoon isn’t enough to see all of the beauty the Dunes have to offer along the 64-mile curve of vistas, freshwater beaches and hiking trails galore. The newest trail, the Sleeping Bear Heritage Trail, runs 27 miles from the northern end of the park to just south of Empire, Michigan. Traverse City is situated on the shores of Lake Michigan’s Grand Traverse Bay. The Dunes are teeming with wildlife and a diverse ecosystem as the crystal-clear waters of Lake Michigan glisten alongside the shore and forests. 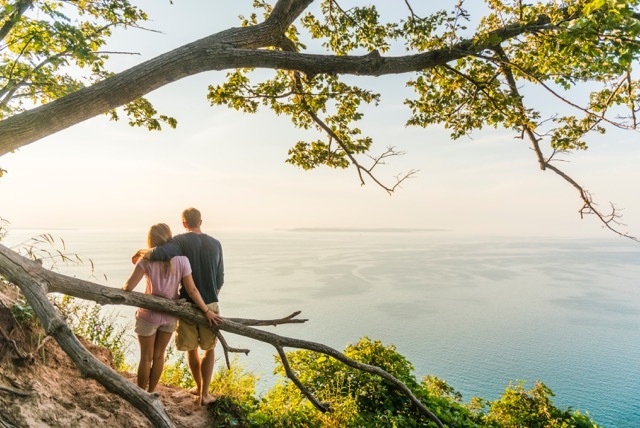 Whether you’re single or bringing the whole family, summertime is the perfect season to enjoy swimming, scuba diving and soaking up the sun’s rays along the stunning beaches of the Sleeping Bear Dunes. 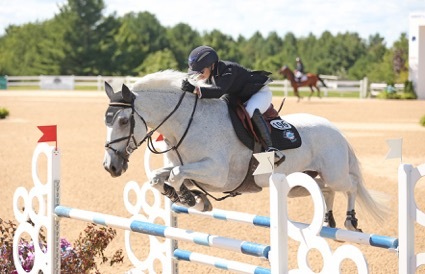 Margie Engle and Indigo competing at the Great Lakes Equestrian Festival. Summer is also the perfect season to unwind at the picturesque Torch Lake, the pride and joy of Traverse City. Torch Lake is the largest lake in Michigan, covering over 18,000 acres and stretching 19 miles long. Escape with one of the lake’s popular activities such as canoeing, paddle boarding, diving or boating. For the fishermen, try your hand at catching one of the lake’s native species such as lake trout, rock bass, yellow perch, smallmouth bass, pike, rainbow trout, Atlantic salmon or whitefish. On the sunniest days, the turquoise waters resemble that of the Caribbean, and offer an oasis like no other. 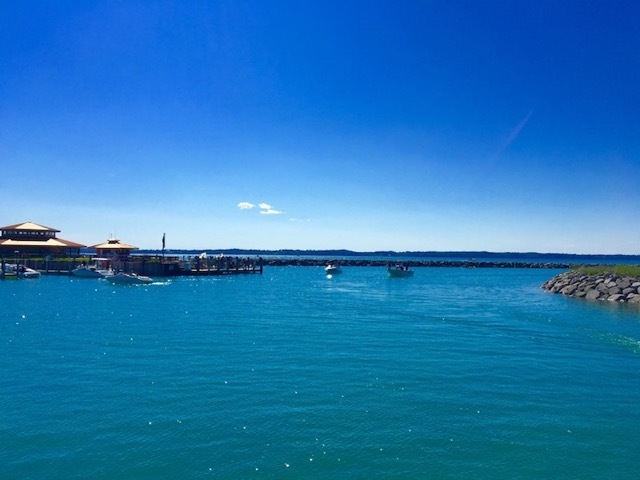 During the GLEF circuit, exhibitors flock to the Torch Lake sandbar with their boats and pontoons on days off from the horse show to relax and enjoy the resort nature of the Traverse City area. Aaron Vale and Carlo showing off their skills at the Great Lakes Equestrian Festival. 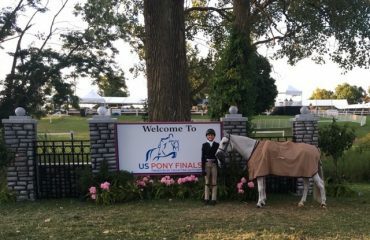 Traverse City, Michigan, is more than a summer horse show destination for equestrians. 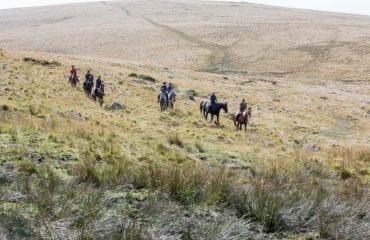 There’s no shortage of brilliant scenery, family-friendly activities and local cuisine and wines to enjoy on days off from competing. 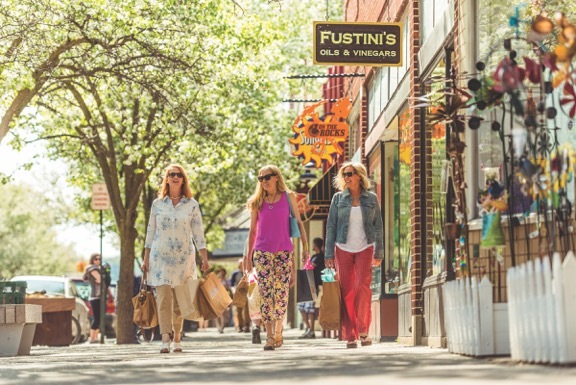 Taking the trip to Traverse City will earn you more than ribbons as you experience the rich history the city has to offer and walk away with memories that will last a lifetime. 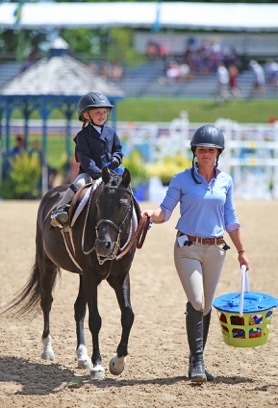 A leadline rider is all smiles at the Great Lakes Equestrian Festival.